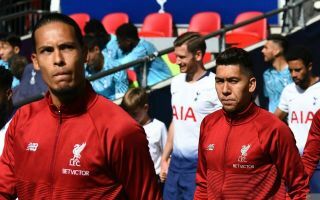 Liverpool striker Roberto Firmino has set his conditions to leave the club as Barcelona and Real Madrid are both linked with an interest in a transfer. The Brazil international has been one of the Reds’ best players in recent years and it would make sense that bigger clubs have taken notice of his fine form. According to Don Balon, he’s among a number of candidates to replace the ageing Luis Suarez at Barca, while Real Madrid are also mentioned as a possible destination. Still, Don Balon claims Firmino will only seek to leave Anfield for a club where he would continue to be first-choice up front. The 27-year-old shouldn’t have too much trouble on that front if he stays where he is, as he’s long been preferred to Daniel Sturridge up front by Jurgen Klopp. Liverpool fans will surely hope that can do the trick for them, as they’ve long seen their best players poached by bigger clubs. Luis Suarez and Philippe Coutinho are among those to recently leave Liverpool for Barcelona, while the club also previously lost Javier Mascherano to the Catalan giants, and Xabi Alonso to Real Madrid.